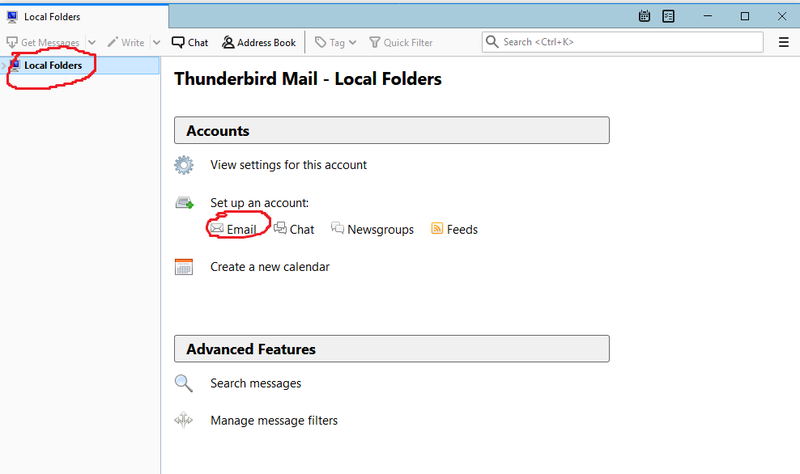 How Do I Setup Thunderbird E-Mail? 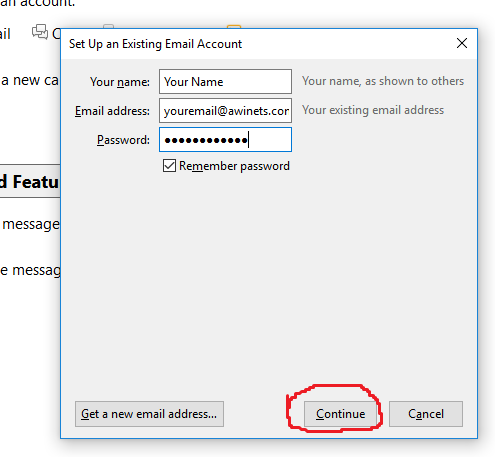 When you open Thunderbird click on Set up an account: Email. 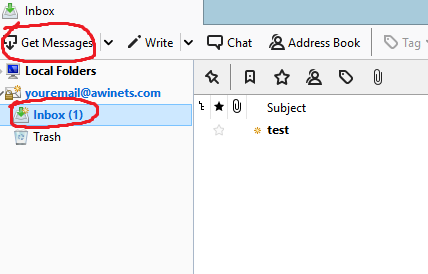 If you already have emails setup on Thunderbird just click on local folders on the left to get there. Your Name will be what others see when you email them. Enter in your password and make sure remember password is checked. You will either be told settings were found or be shown a bunch of options to enter in manually. If the settings automatically populate click on Manual Configuration at the bottom of the box. Once you get to that point you will want all SSL to change from Autodetect to STARTTLS and Authentication will need to be changed from Autodetect to Normal Password. 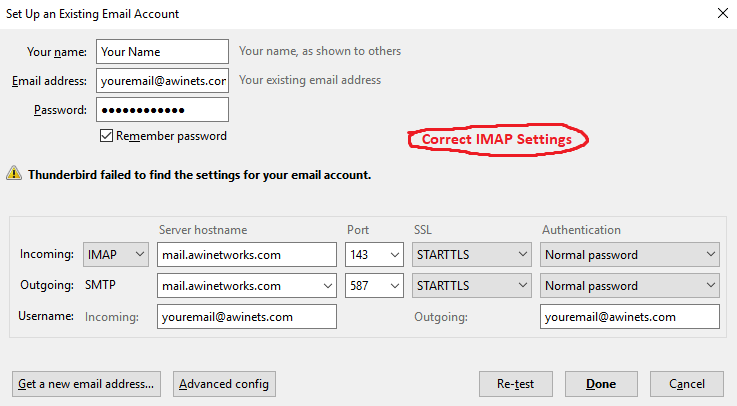 IMAP incoming port is 143. POP3 incoming port is 110. Outgoing port is going to be 587. 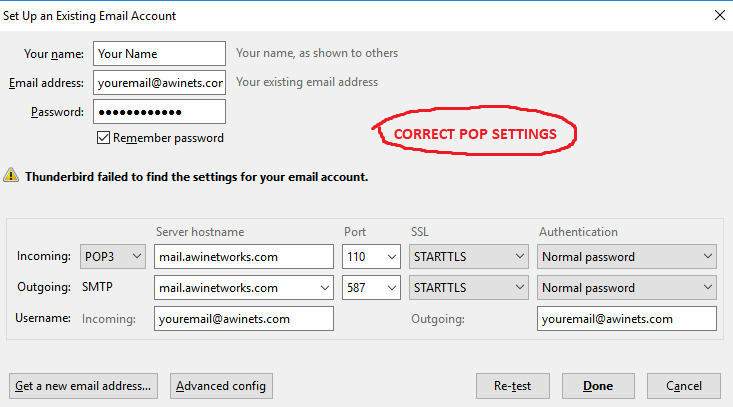 POP3 Account is an account that downloads from our email server. This account can be set to delete messages after taken from server or after a certain amount of time. 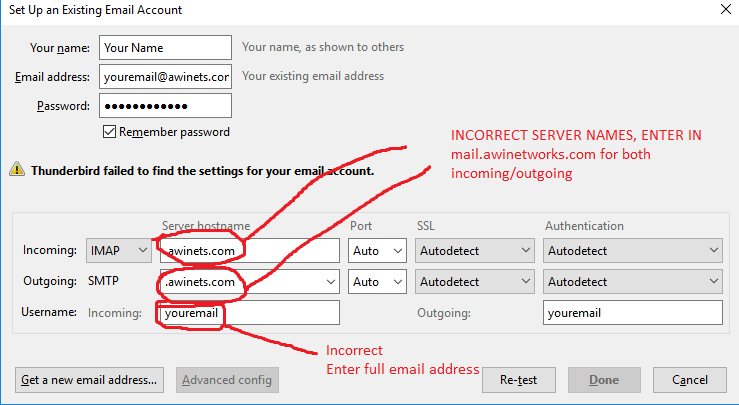 By default it is set to delete email from your server after 14 days on Thunderbird. At that point your computer will be the only device with that email saved to it unless you have a POP3 account set up on another device as well. Hit done at the bottom of the box, if it is not highlighted to click on hit retest and it should highlight back up for you to finish set up. 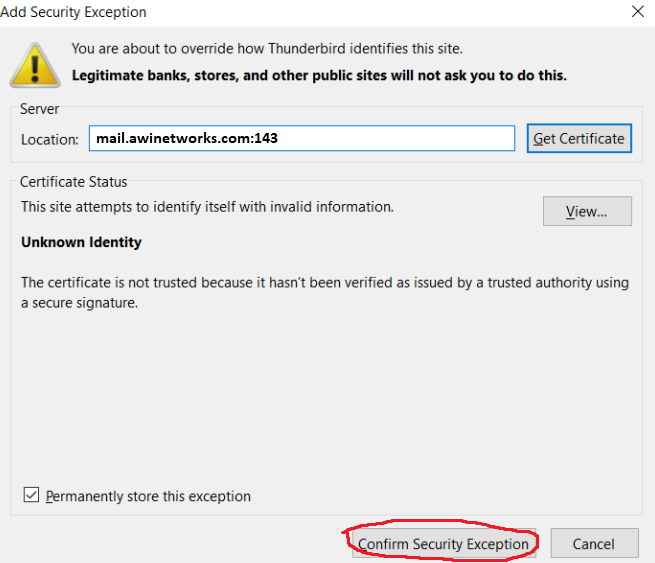 If a security exception is requested go ahead and click on confirm exception as this allows you to use our email server. To receive your emails click on your Inbox on the left side of the screen and hit Get Messages on the top left of the screen. To send you will click into the Write option next to Get Messages.